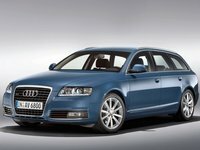 CarGurus has 2,008 nationwide A8 listings starting at $1,500. The 2009 Audi A8 carries over from the previous year and remains largely unchanged. The ’09 is a 4-door, 5-passenger luxury sedan, available in four trims, ranging from the Base to the L and high-end L W12, both Ls having an 5 extra inches tacked onto their wheelbase and overall length. The A8 is Audi's largest, most expensive car, but less austere and more contemporary than other cars in its class. The 2009 model includes most of the premium package options from the 2008. This is a machine with swank and a pricetag to match. The A8 is a car of the future, stuffed to the gills with technology; it features an air suspension, a navigation-system screen that retracts into the dashboard when not in use, interior lighting akin to Buck Roger’s Thunder Fighter, and numerous sensors relaying information on performance, comfort, and safety. The A8’s power, a characteristic that garners great praise, comes in the Base and L trims from a 4.2-liter V8 engine that belts out 350 hp and 325 lb-ft of torque. The V8 engine sounds rich, and the 6.0-liter, 450-hp W12 engine sounds even richer. In Consumer Guide testing, the A8 Base trim averaged 16/23 mpg, with the L W12 getting 15/21. All trims require premium gas. All the trims in the A8 family have Audi's quattro all-wheel drive, a 6-speed automatic transmission, and a driver-adjustable suspension. In addition, dual front airbags, front and rear side airbags, curtain side airbags, front knee airbags, antilock 4-wheel disc brakes, brake assist, an antiskid system, and front-seat active head restraints keep the A8 Fort Knox safe. The 2009 feels strong at any speed. The transmission's performance-oriented Sport mode helps offset somewhat lazy, low-speed downshifts. Generally absorbent, the A8's available 19-inch tires generate unseemly impact harshness over sharp ridges. It’s stable at speed and issues firm and accurate steering. The ’09 has excellent braking control and cruises along most roadways as quiet as a whisper. The cabin boasts top-notch materials and sophisticated design that stand out even in this high-buck division. Just some of the creature comforts available across the board include leather upholstery, heated front and rear seats, 16-way power front seats with power lumbar adjustment, keyless entry, a power sunroof, a Bose speaker system, satellite radio, and a navigation system with voice recognition. There’s ample room on firm, wide seats with excellent support. The split center console customizes armrest heights for driver and passenger. Audi's flagship A8 trumps rivals for interior decor, standard all-wheel drive, and, depending on model, base price. A8s can overwhelm with high technology, and the air suspension doesn't provide an ideal ride/handling balance. Still, these are formidable premium large sedans by any measure. 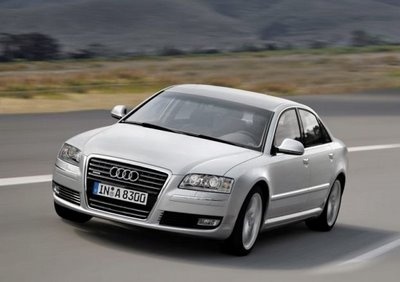 What's your take on the 2009 Audi A8? Users ranked 2009 Audi A8 against other cars which they drove/owned. Each ranking was based on 9 categories. Here is the summary of top rankings. Have you driven a 2009 Audi A8? I realize this is a broad question but l would like to know how many kilometers l should get out of the vehicle before it starts costing me money?